Walking north towards Yarraville shopping centre, we pass Coles supermarket and reach a row of small houses, behind which is a small park with a new playground. The is the site of the Sinking Village. In 1973, on this block, 40 units were built. Within a few weeks, damage to them became obvious. The units had been built on top of one of the old quarries – there were many around this part of the city, due to its abundant bluestone – which had been filled in with sludge from a sugar factory. When torrential rains washed away what remained of the foundations, the units became uninhabitable. The buildings were sinking into the quarry. The remains of the ‘village’ stood for several years before finally being demolished, and the land has been vacant ever since. 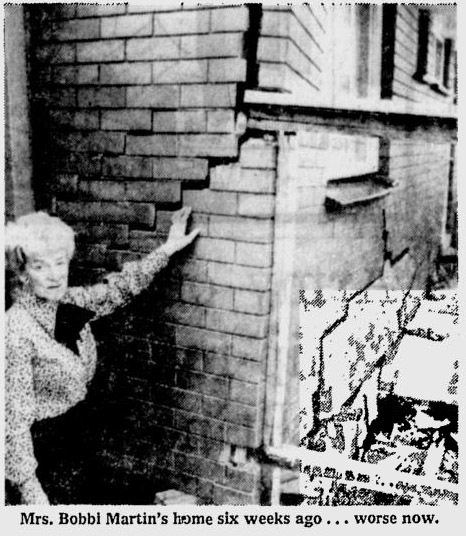 In the building departments of some TAFE colleges, the Yarraville Sinking Village is still taught as a case study of what can go wrong. It took several years, but the residents eventually won $28,000 compensation each, from the builder, the council, and the Victorian Government. But the story still boggles the mind. How was it that in a matter of a few decades, such a crucial piece of knowledge – there’s a big hole there, full of sludge – could simply be forgotten? Now, after many years of indecision, the Sinking Village site has been grassed over and turned into a mini park. It’s not the only place around here with subterranean secrets. Just across the road, Coles supermarket is built on the site of the old Leggo’s chemical works, which closed in the 1950s. In its heyday, Leggo’s proudly spruiked itself as “the largest producer of arsenic in the Southern hemisphere”. After it closed down, massive quantities of toxic chemicals were left in the ground, leading to the place being known as ‘the arsenic site’. 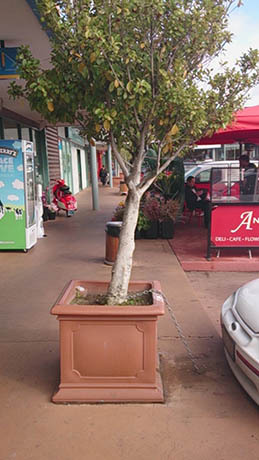 Take a look at the trees in the car park: they are planted in tubs, not in the ground. * Yarraville Village and Club, by Frances Smith, available from Footscray Historical Society. Thanks – should be OK now. Interesting, thanks for adding that info Marcus!